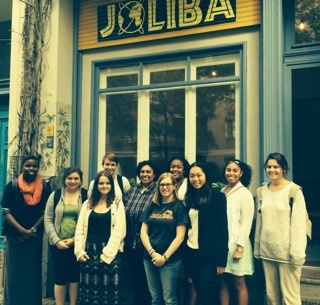 Our morning began with an invigorating discussion with Jamile da Silva from S.U.S.I. We conversed about the overt and subtle forms of racism she has encountered since moving to Germany, and the momentum carried the FemGeniuses through to the afternoon. As we made our way down to the now-familiar U-Bahn station, the sunshine tickled our skin, and so did the wildlife. I was pleasantly surprised to find a ladybug on Kaimara’s head, and as she was not about to put up with that, I promptly rescued the creature. It flitted to Casey’s head then, and it was eventually rescued from the floor of the train. It took several stops for me to convince the bug that flight on the subway was not advisable. After flitting about, it landed on my head, and I persuaded it to remain calm for the remainder of the ride. It traveled with us through eleven stops on the U2 before we made our way into the free air again. Had we been together for several more stops, I would have had a deep enough connection to give it a name. I have a feeling it would have either been Lyle or Lola, both good names for a gentle-hearted ladybug. From the subway, we met Heidi, who was chatting away with Katharina Oguntoye, founder of the nonprofit intercultural association Joliba. 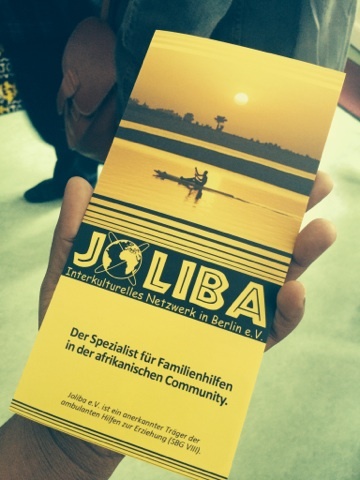 The organization provides “integration assistance” and “psychosocial services for children, youth, and families in the intercultural field, especially for Afro-German families.” The employees are qualified people with a knowledge of many languages who can counsel the children and families. 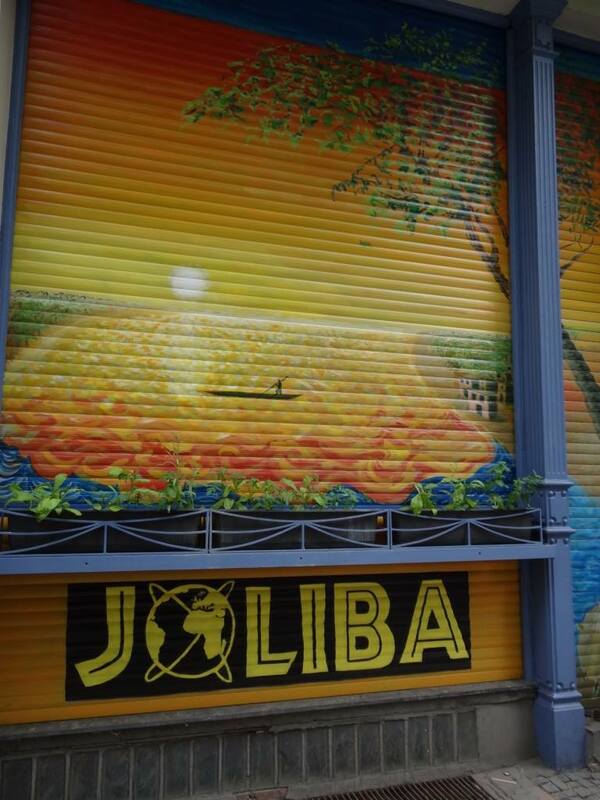 Joliba also holds educational seminars and provides activities for children, such as parties and reading groups. 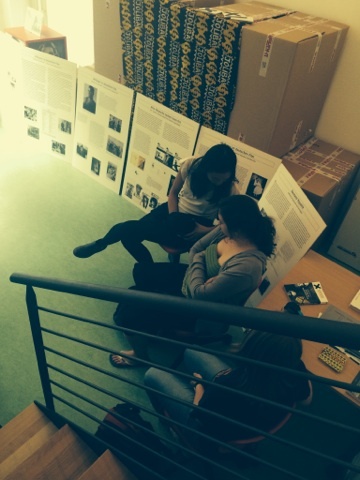 Very few organizations that are specialized in intercultural relations exist in Germany. 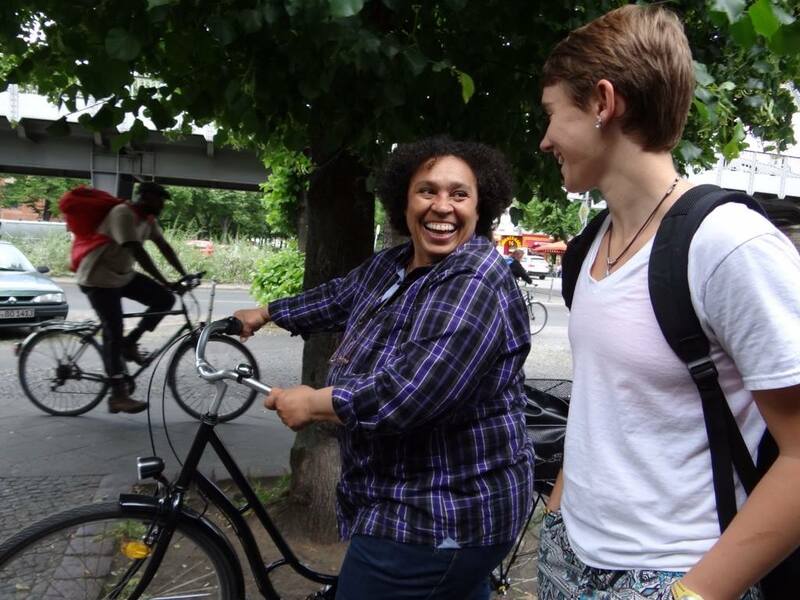 Katharina told us that in conversation with people in the area about minority issues and the work her organization does, last year was the first year in 17 years that people didn’t react negatively and brush off the status of the Afro-German minority. “That’s kind of crass,” she said, “but it took a really long time.” The work in this movement has just begun, but to Katharina, the most important parts of it are community, history, and togetherness. 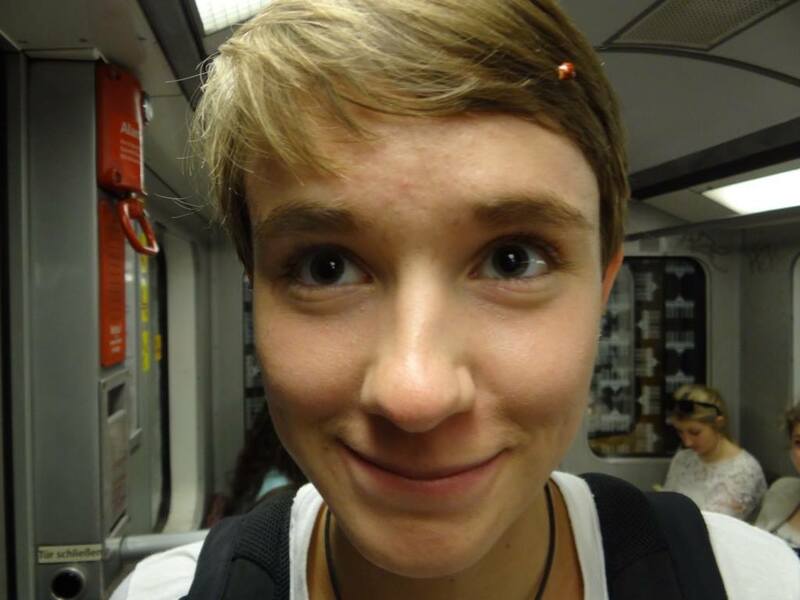 Smiling and storytelling, she took us through her neighborhood in Kreuzberg-Friedrichshain, through the cobblestone streets permeated with the wafting scents of cafes and cigarettes and the visual stimuli of graffiti and German pride. Katharina’s compassion and commitment to community is uplifting. Her words were reminiscent of Cassandra Ellerbe-Dück’s, whose recent work has explored the necessity of safe spaces. In “Networks and ‘Safe Spaces’ of Black European Women in Germany and Austria,” Ellerbe-Dück argues, “The networks of Black women in Germany and Austria have come to function as ‘safe spaces.’” In her study of interviews with Black European women, she concludes, “The creation of a strong cross-border network of Black women in Europe is one of the many crucial steps necessary for tackling the numerous societal issues that impact the lives of Black communities.” Along these lines, Katharina has created communities for herself, as we were briefly able to hear in her stories, but also for those around her and for future generations of Afro-Germans. For her, it’s about being radical. “It’s a tool,” she stated. She warned that people sometimes forget why they are being radical. “It is more my goal to define what I’m doing.” Katharina was tired of feeling like one single person in the midst of a movement, tired of seeking out others like her who would join the fight. She was tired of being an outsider. “That’s why these groups are so important,” she said, the passion that has kept this organization alive over many tough years dancing in her eyes. 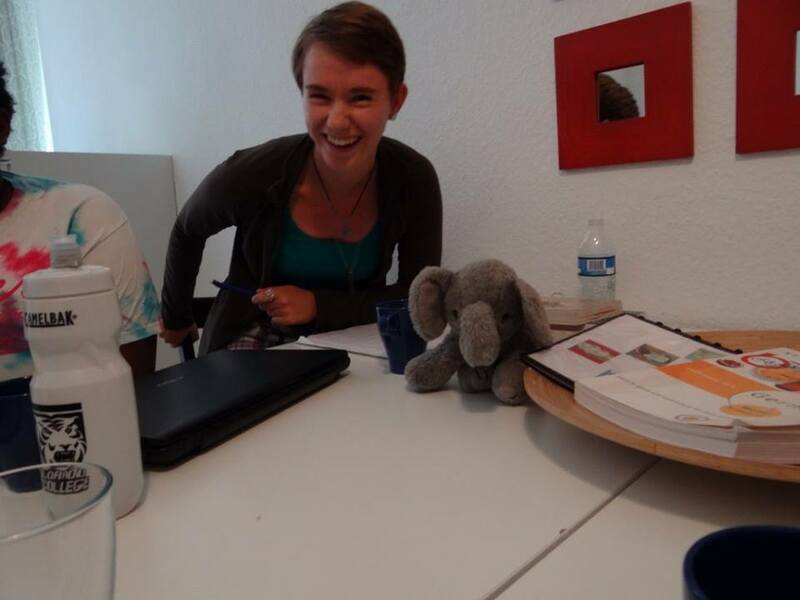 Stefani Messick is a rising sophomore at Colorado College and hopes to major in English and Education. She also runs for the cross country and track and field teams, and has been finding time to run laps around the block near the apartment where she lives in Berlin, rain or shine. She prefers shine.